Denver-Aurora-Lakewood is a ten county metro area located in the middle of Colorado. It is the most populated metro area in Colorado, and the second most populated area in the Southwest. 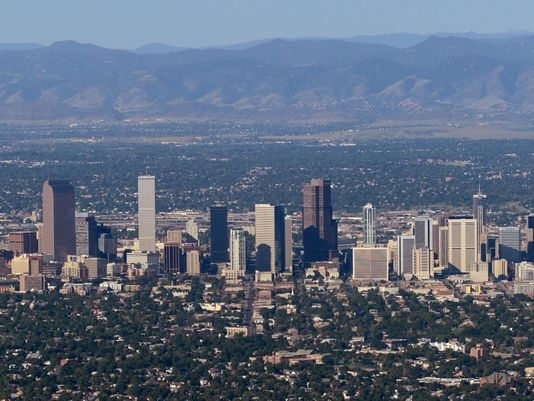 The greater Denver area is located just east of the Rocky Mountains, and is one of the fastest growing cities in the United States. Since 2010 the population has steadily risen, and is expected to continue to grow at a quick rate. Denver is one of the most educated cities in the country, and is considered to be the healthiest city in America as well due to the immense recreational options the city offers. The active job market, fresh air, and good climate has caused many people to relocate to the Denver area, especially immigrants with educated backgrounds looking for work. Denver has the largest population in Colorado and the 2nd largest population in the Southwest. The Denver International Airport has the largest land area of any Airport in the country. It is also the 6th busiest airport in the country, as well as the 11th busiest airport in the world. Downtown Denver is the 10th largest downtown in America. Over a quarter of the area's population speaks a language other than English at home. Approximately one-third of Denver's population is Latino. Denver has the largest Mongolian immigrant population in America at around 3,000 people. Denver has a vibrant Japanese community, and each year they host a Cherry Blossom Festival on Sakura Square. The Demographic makeup of Denver is primarily Hiispanic American. Over half of the foreign-born population is Latino, and approximately one-third of the overall population of the city of Denver is of Latino decent. A large portion of the Latino community is either Mexican or from the Latin-Caribbean countries. Many neighborhoods and shopping centers are beginning to reflect the ever growing Hispanic population, and the city hosts multiple Hispanic cultural festivals each year. Denver also has a growing Asian population with many immigrants from Asian countries coming each year. The Asian population has nearly doubled over the last ten years. Denver is also one of the country's primary destination for immigrants, especially from southeast Asian countries. Denver has a fast growing refugee population from Myanmar (formerly Burma) with at least 1000 refugees resettling in Denver. Although the city does not have one of the largest Japanese populations in the country, it does have one of the fastest growing Japanese populations, which has more than tripled over the past couple of decades. Due to the increasing foreign-born population, Denver holds many cultural festivals each year. It hosts several Mexican-American celebrations, as well as Chinese, and Japanese festivals throughout the city. Displaying 1-25 of 51 results. Denver Demographics- A good website for background information on the demographic makeup of Denver. Denver Immigration Links- A website that compiles a list of website links for immigration information in Denver.